The Gerber/Crawrford clan were everywhere you wanted to be this season. 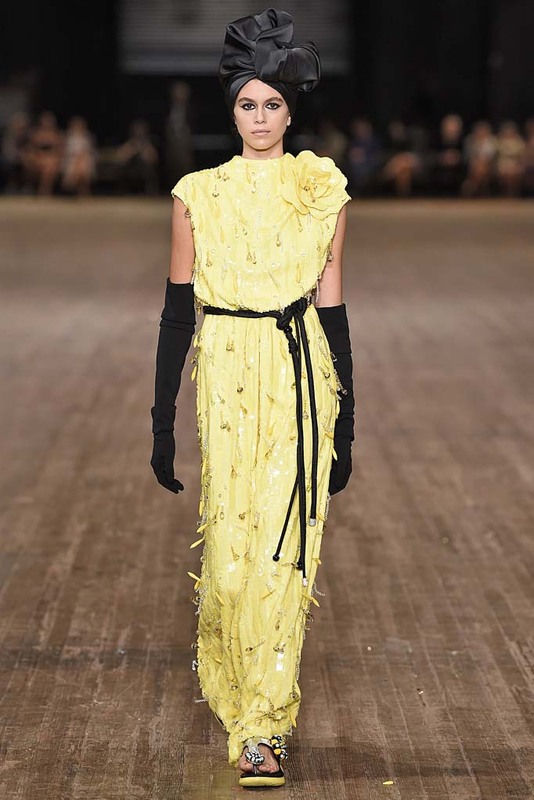 Kaia, who just turned 16 this month, made her New York Fashion Week debut and walked in Alexander Wang, Coach, Calvin Klein, Fenty Puma, and closed the week for Marc Jacobs last night at the Park Avenue Armory while big brother Presley was spotted walking for Ralph Lauren and Zadig & Voltaire. Last Friday the charming sibs (as nice as they are ridiculously good looking) were at The Daily’s Fashion Media Awards to present TeenVogue.com’s Phillip Picardi with Media Brand of the Year. (Kaia’s on the cover of Teen Vogue’s current print edition.) They were also spotted at Bazaar’s Icons party at The Plaza, the Mert & Marcus book party at Public, and Presley stopped by Paper magazine, and MCM Worldwide’s celebration for their Beautiful People issue at Dave & Buster’s. Cindy Crawford also made a splash on Tuesday night at a private dinner at Indochine celebrating her Cindy Crawford RE/DONE x Levi’s capsule collection. The night welcomed Rande Gerber, Sebastian Faena, Nadine Leopold, Helena Christensen, Mel Ottenberg, Mickey Boardman, and of course, Kaia and Presley. Mr. and Mrs. Gerber ended the week (holding hands) watching Kaia close Marc Jacob’s show. We’ll presume Presley was taking a well-deserved nap.